Every newborn deserves a chance at life. Being born is difficult and dangerous work. Babies do not get good oxygenation through the placenta during labor for at least a minute of every contraction. A trip through the birth canal is not easy. If the baby is unable to initiate breathing at birth their oxygen levels fall even lower. Ten percent of babies need resuscitation at birth. One quarter of neonatal deaths are due to birth asphyxia. If low oxygenation can be diagnosed and treated these otherwise healthy babies have a chance at a full, productive life. Without a pulse oximeter to measure blood oxygen and the ability to deliver oxygen this baby cannot be adequately resuscitated. 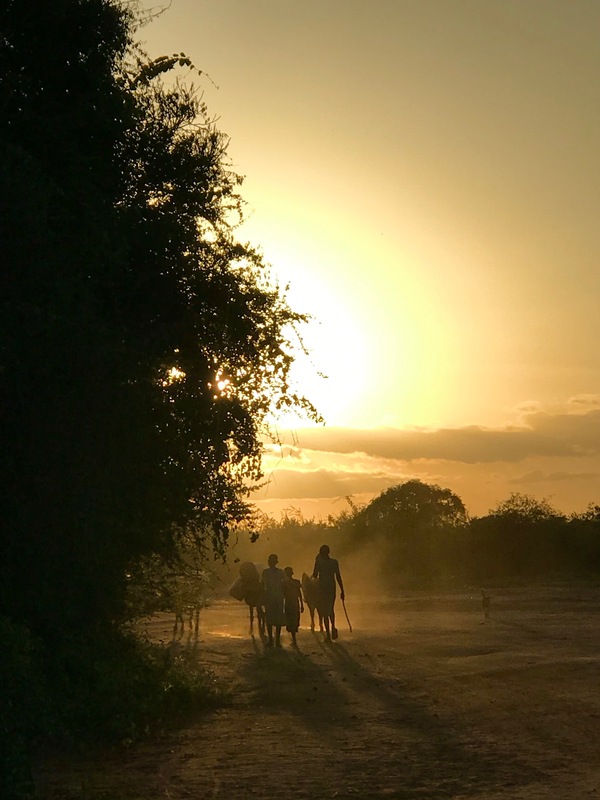 Global Health Partnerships has been able to provide six hospitals and clinics in Kenya with oxygen and pulse oximeters to measure blood oxygen. This means that, for the first time all the babies born at these busy facilities now have a better chance at a full and healthy life.GHP wants to provide oxygen and oximeters to more facilities so more babies can get the great start that they deserve. A donation to GHP will mean more hospitals and clinics can provide newborn services that have never been available before. Kids running clinic, 8:30 am. Kids 1K run 9:00 am. 8K (5mi) and 5K fun run/walk (both timed) 9:15 am. There will also be Kenyan baskets and crafts for sale and music. The first 300 participants will receive a hand-carved safari animal from Kenya. Sign up on-line at Active.com or pick up registration form at our co-sponsor: Sports Systems, 6915 Montgomery Blvd NE. Our prime sponsor is Bernalillo County and Commissioner Maggie Hart Stebbins. Other sponsors include: Jackrabbit Race Productions, Hello Deli, Twohig Dentistry, Perinatal Associates of NM, Chenin-Penn Family, Lynn and Associates LLC and Janet Simon DPM. This is the premier fund-raiser for GHP. Last year 250 kids and adults ran. Elite runners, including elite Kenyan runners, live and train in Albuquerque and will run and participate in the kids clinic. Come meet and run with world-class athletes. The course is flat and wends its way through and around the fairways of the North Golf Course. Gathering water is a childhood activity in Kenya. It takes up to four hours, twice a day, for children to gather water for the family. This is the rule, not the exception in sub Saharan Africa. Gathering water takes precedence over school, study, work, and play. The task is much more difficult during the dry season. The lack of water is an insurmountable obstacle to overcoming poverty. Without water you can’t grow food, you can’t build housing, you can’t go to school, you can’t go to work, and you can’t stay healthy. And yet, for all the work these children do gathering water, it is not good water. Every 90 seconds a child dies of waterborne illness. Global Health Partnerships wants to help these children help themselves. More than 1 in 10 babies born in Kenya are premature. Premature birth is a major cause of neonatal death in Kenya. Because lungs are the last things to develop in unborn babies, premies often suffer from deadly respiratory problems. The expensive medical technology that saves premature infants in developed countries is not available in resource-poor African hospitals. Continuous Positive Airway Pressure (CPAP) therapy is an expensive way to treat respiratory distress associated with prematurity. Now there is a low-cost, simple way to deliver this therapy in places where there is no reliable electricity. Known as “bubble CPAP,” the only supplies needed include a plastic bottle, tubing, tiny nasal prongs, and a source of oxygen. GHP has partnered with Kenyan hospitals, pediatricians, and nurses to provide bubble CPAP therapy to premature infants within our service area. GHP has provided several donated oxygen concentrators and other supplies as well as funding, training and technical assistance to initiate a pilot program to study this technique. The prevention of childhood deaths is a major priority of GHP. The Community Health Worker newborn visitation project that GHP has implemented is also critical in saving newborns. Our goal is to save every viable child born within our service area. Global Health Partnerships’ goal is for every baby to be a healthy baby with the chance to grow to be a healthy, contributing adult. When there are over 100 patient visits a day, having a functioning latrine is imperative. In sub Saharan Africa it doesn’t rain very often, but when it does it can be torrential and devastating. This year the rains caused a failure if the Kisesini Clinic latrine. Considering our comfortable life with indoor plumbing, this event was never budgeted for. It cost $2,500 to replace the clinic latrine. Can you help cover the cost of rebuilding the latrine? When babies are born prematurely their lungs are not developed well enough to exchange oxygen. If they can get some respiratory support during their first few days of life, their chances of survival are greatly increased. With an oxygen concentrator (concentrates oxygen from regular air, requiring only electricity) and some commonly available equipment (tubing and a bottle of water) premature babies can breath more effectively until their lungs have a chance to mature. GHP is transporting some oxygen concentrators to the Kisesini dispensary and Kitui referral hospital. They will train the staff of the dispensary and hospital on this technique. A study to evaluate the efficacy of this technique will begin this week. Your donation can help save the lives of tiny babies like Julius Mutie, shown here with his grandmother. Julius was born prematurely and his mother died six days after his delivery. Thanks to the support of GHP, Julius is alive and thriving now. Who could really use your help! Maria is a grandmother who is the caregiver for her elderly mother. When her daughter died of cancer, she became guardian of her four orphaned grandchildren as well. Maria is shown here with her youngest granddaughter, Susan. Maria has no resources or income, in spite of her responsibility for the family of six. Helen, Maria’s 14 year old granddaughter, is a good elementary student. Her teachers asked if GHP could assist in getting her a pair of shoes that fit for her long walk to school, and a light for her home so she can do homework at night. Martha is Maria’s mother and great grandmother of the children. She has been desperately poor her entire life. Maria’s poor family suffers from food insecurity. Global Health Partnerships provides food and school fees for them. A donkey, costing around $40, would help even more so they could gather enough water on a single, long, daily trip. GHP is a 501(c)3 charitable organizations. What a fun run it was! The head of the Muinde household is a young widow who is so poor she cannot afford to feed her children. This family was identified by Global Health Partnerships as one of the 24 families who could not survive without a monthly donation of staple foods from GHP. The children in this family could not attend school without school fee support from GHP. This family had only an unsafe, insecure, substandard home to live in. Now the Muende family have a simple but safe home, enough food to grow and thrive, and the children can attend school. With your help GHP can continue to provide for their health. Help more families like the Muindes on this Giving Tuesday. Sometimes GHP gets it exactly right. Young Mary Mutinda now has a normal heart. Mary is a young Kenyan girl who nearly died of her congenital cardiac deformity before she turned thirteen. She suffered from coarctation of the aorta, a simple but lethal cardiac malformation. The only treatment for this tight spot in her aorta was surgery. She comes from a loving but desperately poor family who could never even afford the diagnostic echocardiogram to diagnose her problem. Mary was seen in the Kisesini health center where the brilliant Kenyan nurses diagnosed her problem. It took many months to complete the diagnostic procedures and arrange her surgery. One year ago Mary underwent open heart surgery performed in Nairobi, Kenya, sponsored by the generous donors of Global Health Partnerships. Today, a one year follow-up echocardiogram shows her heart has returned to normal. You can help children like Mary. Global Health Partnerships can help! Health care for the very poor in Kenya has suffered. 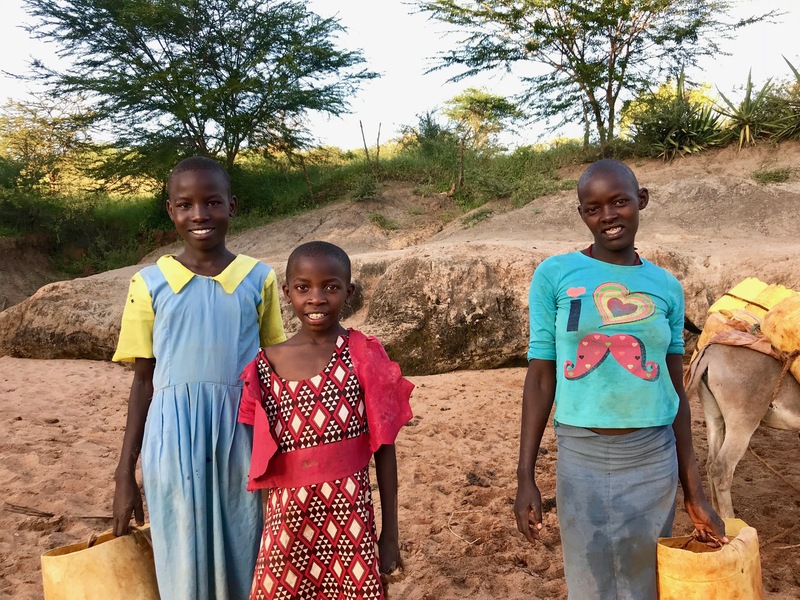 This year, more children have died from treatable infectious diseases and from lack of immunizations in Kenya than during any other time since Global Health Partnerships has been serving there. Why is this happening? First, the doctors were on strike for more than three months over issues of basic pay and working conditions. Now, Kenyan nurses have been on strike since mid-May over poor pay and intolerable working conditions. Most recently the Kenyan Supreme Court has called for repeat national elections, causing more chaos and disruption of services. Meanwhile, infants and children have been dying at an unprecedented rate due to health problems that can be treated. Community Health Workers, trained and supported by GHP, have still been visiting newborns. However, once they identify an ill infant, access to hospital care is more difficult than ever. Global Health Partnerships can help. We can provide transportation, care, medicine, and support to families with sick children. Don’t let these children die needlessly. Global Health Partnerships can help. What happens when the Kenyan doctors are on strike and an unborn baby is in trouble? Kenyan doctors working in the public hospitals have been paid a salary that is so meager they cannot support their families, usually between $400 and $800/month. After years of frustration with the Kenyan Health Ministry they went out on strike earlier this year. When a young, pregnant mother arrived at the Kisesini Clinic in prolonged labor with fetal distress it was obvious the baby and perhaps the mother would die if a Cesarean section were not performed as quickly as possible. Although the Kenyan nurses who staff the clinic are experts at assisting in complicated deliveries, a C-section must be done by a physician in a hospital setting. Because the public hospitals were on strike, the mother was taken immediately to a private hospital for her surgery. The best news is the birth of a beautiful, healthy baby with good birth scores (Apgar score) and a healthy mother who is able to raise that child. The harsh news is the bill of over $500 for a C-section at a private hospital. After selling everything, including their two goats, this family had only $50 to contribute toward their hospital bill. Thanks to generous donors, Global Health Partnerships was able to pay this hospital bill for this family and take this tiny person and his mother home. GHP celebrates this healthy child and intact family. You can contribute to a chance for a healthy birth for every mother within the Kisesini Clinic service area. Please consider a donation today. In Kisesini village, as in much of Africa, the risks of an infant dying in the first year of life are extreme. The greatest danger is in the first week of life. With this in mind, GHP has trained Community Health Workers (CHWs) to recognize danger signs for infants. They visit the new mother and child in their home on the first, third, and seventh days of life. Home visitation catches problems early and allows time to get the infant to the clinic for treatment. It also allows the CHW to assess feeding and other potential problems. Nicholas Mutuku, the head nurse at the Kisesini Clinic, travels to this remote area monthly to conduct an outreach clinic. This is the home in remote rural Kenya where this family lives. These extremely poor people live on less than $1.25/day. GHP is able to serve this area by training CHWs who can reach these people. You can support a Community Health Worker to make life-saving home visits on a newborn for only $10. Please help GHP extend this program. 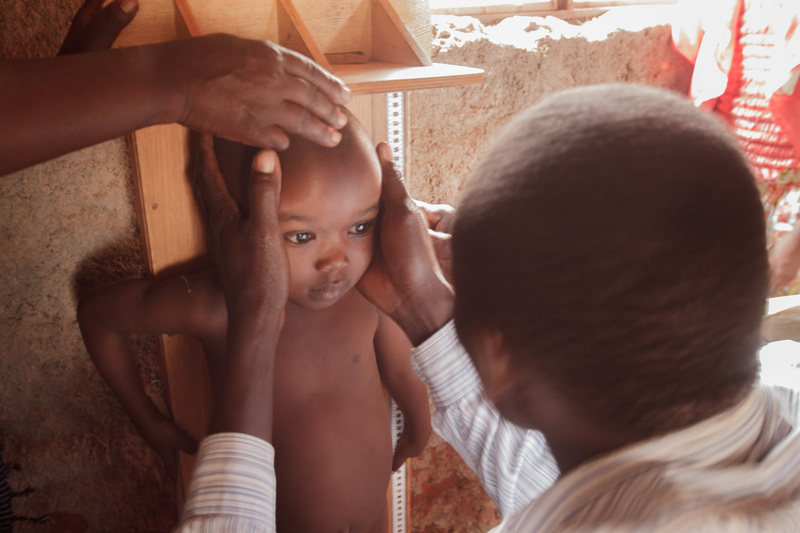 In Kenya, we support primary health care and prevention of llness for approximately 35,000 very poor people with an emphasis on improving the health and survival of young children. We provide direct medical services, deliver medical supplies and equipment, and provide training to local community health providers. We support outreach clinics for the very isolated. We support a life-saving ambulance that is critical to the transportation of surgcial, medical, and obstetrical emergencies. Without this ambulance, emergency services would simply be out of reach for the 35,000 people we serve. We support full time obstetrical services, delivered by three wonderful Kenya nurses. These services are delivered in our new maternity center. Funds to cover the costs of medicine, supplies, and emergency transportation. Furnishings, including beds and medical equipment, for the new maternity center. Funds to continue educational programs for the Community Health Workers who extend our medical mission to the very isolated. Donate now. Global Health Partnerships (GHP) is a non-profit organization of medical professionals and other volunteers who work in Kenya as partners with local community organizations and health care providers to improve the health and well being of the poor and marginalized. Get our latest updates in your email box by joining here. What an interesting organization. This is truly the way that help should be delivered everywhere – caring people coming together to focus on the particular needs of one area of the world, trying to educate and improve health conditions. One step at a time we will walk with these children into a future that is brighter for our having been there.